This site is about Women in our lives who inspire us and who leave a lasting impression on us. The first woman in most of our lives to do so is our Mother. 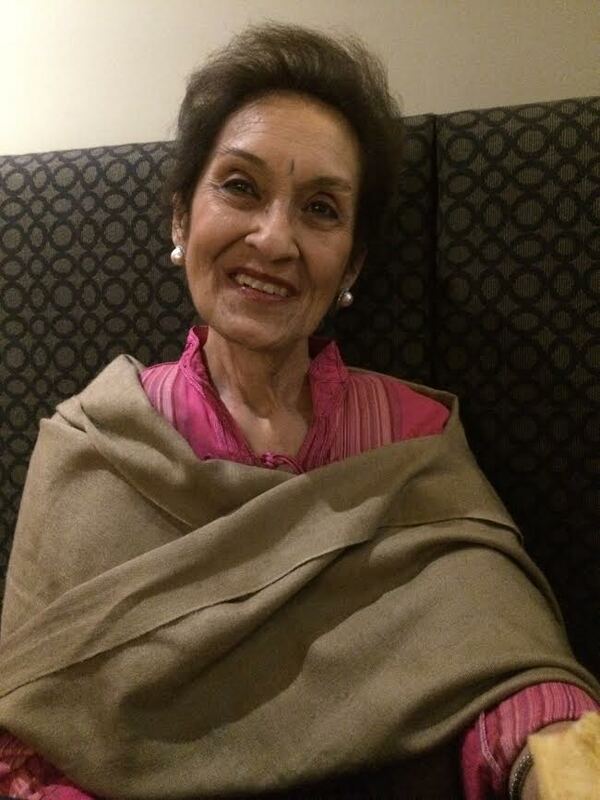 So, I start this page as a dedication to my wonderful mother, Jyoti Manu Nagrani (JMN as she loves to sign off), who is 73 years old, and still amazingly dynamic. She is my inspiration to start this blog and is my daily inner voice, guiding me, strengthening me. When I do get a few minutes in a day to pray, I pray that I get blessed with at least 50% of her will power and her strength. At 73, 20+ years post removal and treatment of an oral cyst, she is still running her retail business which she started at the age of 45, with so much enthusiasm and still sets her daily sales targets, which she states first thing every morning to her staff. By the end of the day they have accomplish this. Mum can still charm anyone in seconds and can sell them products they were not shopping for, making us all chuckle at the end of the sale. Mum is an entrepreneur. Mum is creative. Mum can be very flamboyant (while making sure I was the conservative daughter and she did her job right!- double-standard!) and modern for a lady of her times. As a wife, mother and grandmother, mum is still so aware and still caters to all our needs effortlessly. Mum just needs to know we are on our way to her, and all our favourite food, our children’s favourite food, and yes, some lovely gifts, get prepared and purchased…….. but that’s not all…… even my husband is always left ‘mesmerized’ with her ‘presentation’ of all the above….’. The advantage of this is….. when he does cook for me…. he presents his food as artistically as she does. Thank you mamma… 😉 for inspiring him as well! As a daughter, I have seen mum ‘evolve’ so beautifully, with time, with change, adapting to so many cultures and to her colourful 6 children and 6 grandchildren… and yet, her appearance and presence is so timeless. I have still to meet another who can do so much, and look after such a big family, tirelessly, and always with a smile. She beams and has a private ‘winnning moment’ every time she does something for us. I can go on for pages on my mamma while all of you are probably thinking…. ‘well…. that sounds exactly like my mother’….. yes, it probably does. So share, share, share…..
3. Anything done with a good and pure heart is real devotion. Keep your intentions and actions pure. 4. Serve, Serve, Serve – serve the big, serve the small, always with a smile & let go of your ego when you do so. 5. Work hard. Persevere. You will Achieve. 6. Carry yourself elegantly. Always. 7. Handle trials and tribulations calmly, clearly, purely. Stand out like a Lotus Flower. 8. Do your duty 200%, don’t fall short and don’t let anyone get the better of you. 9. Treasure your true friends. Cherish your girly moments with them. 10. Never sit idle. Be productive, be constructive. 11. And just 2 months ago, she taught my boys to say…’Ouwee… GO AWAY!’. Now that’s how she’s battled her health issues. WATCH THIS SPACE FOR OUR NEXT FEATURE OF A COLOURFUL WOMAN!